To those who grew up in the rough and tumble world of Christian America, and perhaps Christianity worldwide, you are met with a rather strange twist of logic: English speakers would call "God", "God", while Jews would call "God", "G-d". The rather strange differences between the two sects did not go unnoticed by this aspiring adherent of the Letters. But that was not all there was to this quirk of "Letters/Words" to describe some omniscient being held near and dear to so many of Earth's wayward denizens. There was another mental contortion to work through. 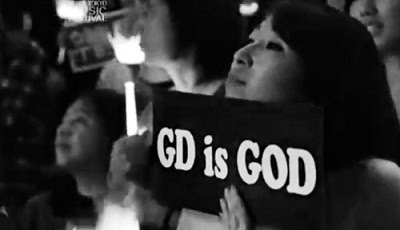 You see, that "other gods" existed could not be denied. Even the amateur Sunday school Bible scholars had to deal with the reality of "Elohim", as in "plural gods", and find ways to teach the young minds fresh from the altar. The explanation was always rather curious: we "capitalize" the Letter G in god to denote the real god, the god of the Jews, while all the other gods are lesser gods and so we do not capital the word "god" when referring to these gods. Of course, not being "Jewish", we still had all the other "gods" to reckon with. Zeus seemed quite powerful, and the gods of Olympus seemed to have been done a great injustice by having their grand title of "god" decapitalized. 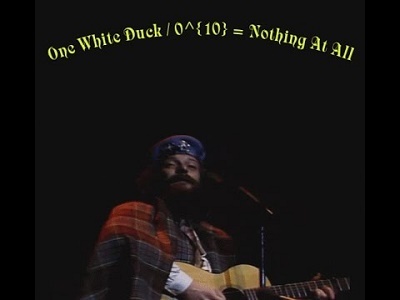 Something clearly was not aright, and later I would play over and over the song "One White Duck: 0 (10) = Nothing at All" and could help but see the donation plate to be cleaned while we headed home to try to make sense of what was, really, nonsensical. Because I'm up to my deaf ears in cold breakfast trays to be cleaned before I dine on your sweet Sunday's lunch confusion. But perhaps nothing contributed to my "Sunday lunch confusion" more than trying to reconcile just what was behind the logic of a Jewish use of "G-d" in lieu of "God". The explanation from the Jewish camp was, quite frankly, beyond any logic or reason. No matter, Jews clung to their reasons and beliefs. I thought it more sane that children would believe in Santa Claus and the Tooth Fairy more than adults from the Jewish community persisting in their contortions. "No self respecting Jew would ever say the name of G-d", they would say. But. But. God is an English word, and Jews had their own word, albeit that too was nonsensical. 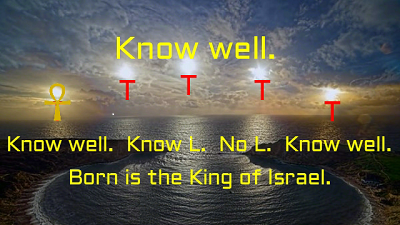 Their word translated to YHVH in English, which for some reason, they never had a problem vocalizing. It would not be till many years later that the whole of the Construct would begin to make sense. If Jews would not vocalize the word "God", then indeed, it must mean that the word "God" itself contains within it a precise power that Jews dare not invoke as this power must run counter to their beliefs. At least this logic, where Jews always sought to put themselves at the center of the Universe, made sense to my otherwise dining on Sunday lunch confusion. Later, it would begin to make some sense: as crafted, the "God" was "the Alphabet", and all the lesser gods derived from the Alphabet were, well, "mere gods", for they could not hope to command such an exalted figure (that creates all things) as was the God as "the Alphabet". The 70's to early 80's was, for many of us, a time of "spiritual exploration". Christianity as an institution was failing many and it was not all due to the ongoing spiritual war by Jews against Christianity. Christianity was failing many precisely because Christianity could not reconcile the weekly "Sunday lunch confusion". This was also a period of deep symbolic exploration in music. 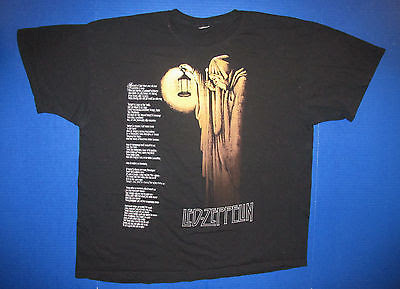 Led Zeppelin's "Stairway to Heaven" featuring "The Hermit", or the 9th card of the Major Arcanum of the Tarot spread with the generational defining song of "Stairway to Heaven". And who knows of the countless injection of Crowley OTO imagery. "The hypocrites are slandering the sacred Halls of Truth". After a brief encounter with Carl Jung and the "world of archetypes", I decided to dig deeper into the world of symbolism. I was fascinated with Freemasony and the promise it held to "raise up the individual" relative to more hidden knowledge. But I was also fiercely independent, and understood that, like many a church, most organized systems of initiation were only as powerful as the initiator. Frankly. That class was unimpressive. I dug deep into the Tarot cards seeking to understand how archetypes were structured into this arcane system. My understanding of Letters was already prescient. 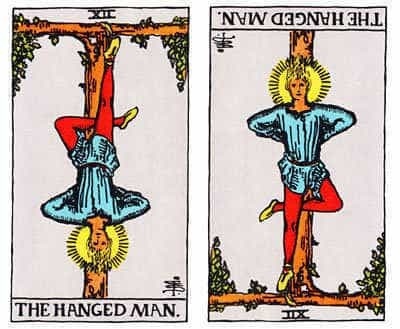 The Letter T fell to for the Letter L, which would be the "Fallen Angel", the Hanged Man, and later, Odin and the Runes. 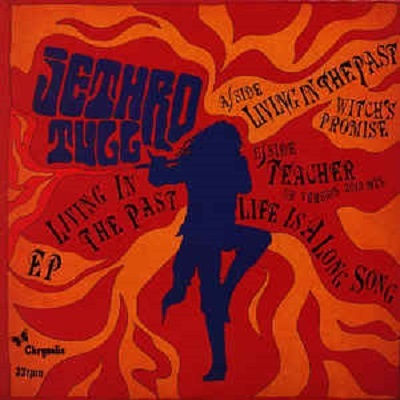 Then there was Ian Anderson and Jethro Tull. It was impossible not to see, or at least imagine, that Ian Anderson's patented stage pose was nothing less than that of "The Hanged Man" and "the Letter L". Seeking symbolic insights consumed much of one's day. It would be much later, with the development of the Isisian Codes, that the real esoteric essence of the Letter L came into full view. This video, recorded around Christmas of 2009, hints at some of those early musings. It provides short graphical cues into the study of the Letters, and in particular, that "pesky Letter L". 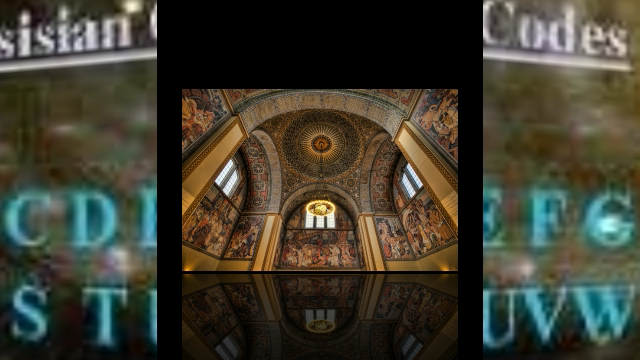 It has been edited heavily from the original, removing alot of dated material. The audio file is slightly corrupted, but the main theme makes its way through. Wars Caste through Words - or "That Pesky Letter L"
"All nature is merely a cipher and a secret writing. The great name and the essence of God and His wonders -- the very deeds, projects, words, actions, and demeanor of mankind -- what are they, for the most part, but a cipher?" It is the reality that there existed an extensive network of "word-smiths" operating on the language in parallel with the natural development of the language that provides the basis for a rational, philosophical inquiry into the language. As the Alphabet is itself a cipher, we cannot preclude that the rational development of language would be in opposition to Nature; rather, is stands that the rational development of the language by a craft of "word-smiths" who believed that "the Word" itself was a cipher, would seek to harmonize themselves to the inherent "divinic design" of the Alphabet and the language which may be derived from same. A philosophical inquiry into the Letters is one of the primary objectives of the Qaballist. Armed with knowledge that the Alphabet is fused to Letters/Numbers/Sounds, one seeks to comprehend the nature of the Construct with the intent to rise above these confused affairs and see "reality" from above the waters of the drowned human family. Thus, the Qaballist must fully understand the framework of "the Construct", and, once the framework, or skeleton, has been comprehended, one then goes about building the structure, or body, through the use of words, which are themselves ciphers. 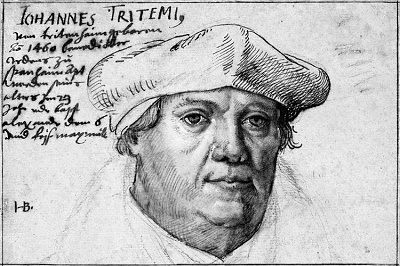 Trithemius, a German Monk, was perhaps the first theoretician into the use and forms of ciphers. His work, Steganographia was characterized by the Vatican as being "full of peril and superstitions". 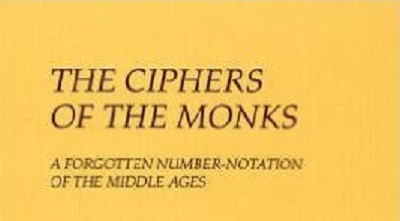 One of his methods was to place a hint within the cipher text. 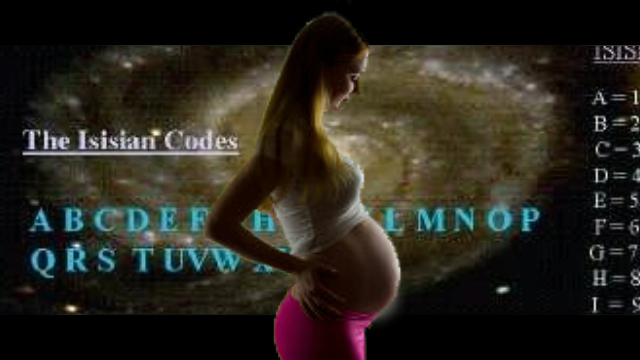 The hint itself provided a path to find the key to the cipher. As this transposes into a "philosophical inquiry into the Letters", this "hint" often appears as simply part of the equation being "clear", and another part of the "equation" being clouded. Through logic and reason one is expected to comprehend the nature of the word (formula) and thus arrive at it's philosophical key. Thus, when we look at the CLOUD, we see that the word, at first glance, has no natural links to precisely what a "cloud" is. Yet, to name a cloud a "CLOUD" feels natural within the nature of the design. Using the idea of "hints", or "parts of the equation" being exposed, and working with full knowledge of "the Construct", the word CLOUD becomes a rather overt, "crafted", or ciphered word. The opposite of LOUD is SILENCE, from which we can infer SELENE, or the Goddess of the Moon. Selene rules intuition, a form of action that is hidden, or occulted. Hence LOUD is really silence, as the cloud always moves silently through the sky. The Letter C tells us that there is an occultation, or a covering. Hence we can infer that CLOUD, clear as it is, is referring to the Occult itself, which covers "the Sun", or the sacred means of the Word. Sometimes the Occult is thinly veiled (as is the word SUN), while others, the veil is so dark that the Sun is completed blotted from the sky. "For CYPHARS; they are commonly in Letters or Alphabets, but may bee in Wordes." From the point of view of a philosophical inquiry into the Letters, we know that ancient philosophers sought to cipher their knowledge sufficient enough to hide the meaning, but not such that the ciphering would destroy the inherent nature of the design. With all this in mind and more, the idea of a cipher, set against the Construct, of the song "The First Nowell", is presented in this video. It not be said that that the creation of the song is a willful construction: writers often align themselves with the inherent design in the Construct such that through Selene, intuition, the nature of the Construct reveals itself. 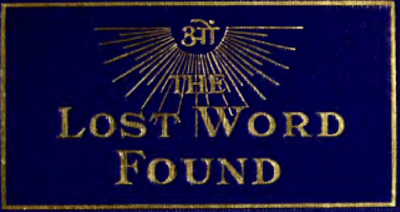 One of the primary driving factors in Freemasonry was this idea of the quest for and the returning of "the Lost Word", or the Omnific Word. At first glance, this might appear to be a mystical pursuit, but knowing well that the Isisian Mysteries were esconced in the study of "Letters", it is presumed that if we conduct a thorough investigation of the Letters, then the "Lost Word" may indeed "reveal itself". Much is stated in form of allegory and peculiar "Masonic mythology": Solomon's Temple, the widow's son, the death of the Master and with it "the loss of the word", the idea that a substitute has been available. Ultimately, F.D. Buck says that the time for "the Word" to be recovered was "the present generation", but no real revelation of "the Word" is really presented. 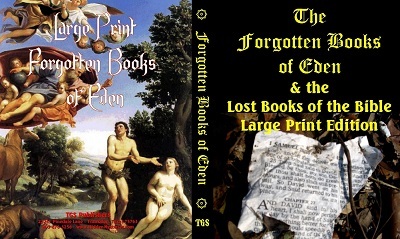 In "The Forgotten Books of Adam and Eve", we find another reasonably long expose on the idea of "the Word". In this document, we can discern "attributes" of what "the Word" is capable of achieving. Primary in these attributes is the idea of "raising people up", "saving" people, and similar seeming beneficial assistance. Chapter 3, V 15 - And the Word of the Lord came unto Adam and Eve, and raised them up. This idea of "raising people up" should be considered, perhaps, in a more pragmatic, rather than "mystical", sense. What we know from Greek records was that there was a cataclysm known as "the Fall of Atlantis", With this cataclysm came a dispersion of peoples. Few of those dispersed had any semblance of a writing system, and soon fell into states of what is said to be near uncivilized barbarism. Only the Egyptians were able to raise themselves back up relatively quickly. This is primarily attributed to the idea that the ancient Egyptians had preserved their knowledge due to their extensive use of written works. Hence we should consider that a "Word" that could lift a people up need not be actually "a Word", but rather something larger. F.D. Buck hints of this in "The Lost Word Found" when he says at the time of the loss of the Word (itself Masonic mythology), it would not have been possible under the conditions of the time for a mere "Word" to have been lost. Hence the "Word" must be something larger than a "Word". 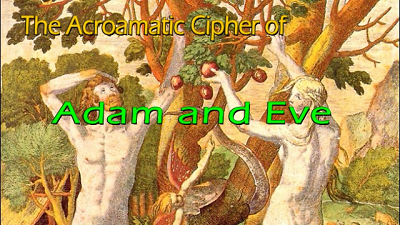 The acroamatic cipher is the most subtle of all, for the parable or allegory is susceptible of several interpretations. Bible students for centuries have been confronted by this difficultly...The creation myths of the world are acroamatic cryptograms, and the deities of the various pantheons are only cryptic characters which, if properly understood, become the constituents of a divine alphabet. The video below explores and applies Qaballa with gleaned nuance from Freemasonry and applies it to English. 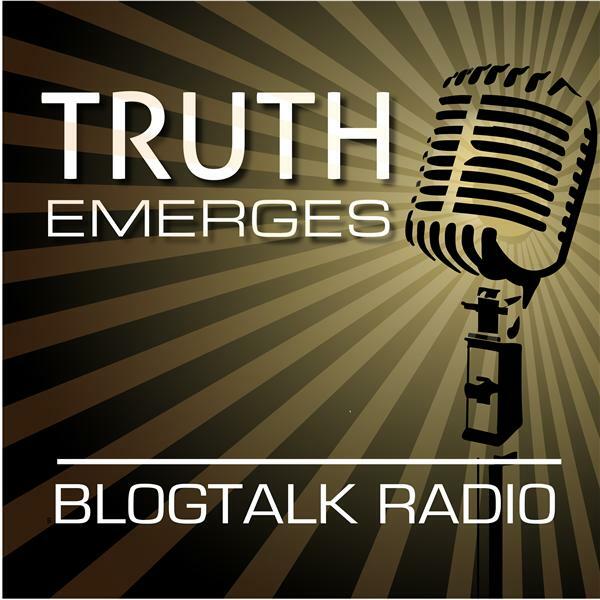 Originally recorded in December of 2009, the information remains lucid as the knowledge put forward is indeed - timeless. Graphics help some of the seemingly simple, yet orally complex ideas to jump to life in a way that makes the material much more understandable. Inside the Eye - The Formative Years is an edited version of Podcast 1, Segment 2 of the original "Inside the Eye - The Podcast Companion to the Illuminatus Observor". This effort puts the podcast to video with concise imagery that helps bring the audio to live. One of the key elements considered in the development of the Isisian Codes is the reality that the Sepher Yetzirah, or Book of Formation, is telling a story about the phonetic design set into Alphabets. It (the Sepher Yetzirah), being a Qaballistic document, should not be construed as being applicable only to the Hebrew Alphabet. Afterall, most people the world over who peer into their own unique Alphabets find a divinic shadow cast upon their language, Alphabet, and Letters. English is unique, or so it appears, due to the reality that the Alphabet is a construction designed to return "the lost Word". Wherein we adhere to the idea of a system based on "Letters, Numbers, and Sounds", it would make sense that "the Word", comprised as it is of Letters, must then be also comprised of numbers. Why then would an Alphabet not itself be a metaphysical representation of "a number", which in the case of English, can clearly be viewed and seen as being that of "Pi". If one peers into the Rabbinical. or Jewish, Kabballah, it should remembered that there is a lot of emphasis put on the idea that Kabballah is, itself, a form of "oral tradition". Whereas the Rabbis have been able to promote their form of "oral traditions", it should also be remembered that many Western "oral traditions", such as "the Tarot" and other forms of "divinic Arts" were ruthlessly suppressed to the point of complete vilification of nearly all Western "oral traditions". The result of this suppression adds to a retarding of human capital dedicated to Western mystery traditions and art forms. This idea is hinted at in this video. Another factor to consider is the wedding of Isis and Osiris. Since, via gematria, Isis is equated to Speech, and Osiris is equated to Religion, generally speaking, we can say that Isis and Osiris represent two apparently separate and distinct schools of esoteric traditions. However, we should remember that Isis and Osiris are wed, which is to say, they are as one: you cannot fully interpret the Written Traditions without some insights and clues from the Oral Traditions. An example of this might be, "Make the bottom bigger than the top", when describing the creation and form of the Letter B. The DUAT, wherein the AT hints at a separation and DUAL and TWO concurrent, ultimately returns us back to the Letter D. Shakespeare's, "To be or not to be, that is the question" tells of the nuance contained in the Letter B, which itself cannot be separated from the verb "To Be", and the present reality of "You R". The framework of the Isisian Codes was developed between the years 1996-2002. However, the research required to fill-out the framework, or skeleton, required an additional 6-9 years. Much of this effort, but certainly not all, was put on the web for "entertainment", "comment", and for enhancing reader knowledge. Of course, there were more hidden, subtle strategies being invoked concurrently, but the value of such efforts one could only glean from conjecture, for one could never really know if the direct targets were either hit or reached. With the addition of this completed video, the spirit of an open effort to enhance "entertainment", add grounds for "comment", and "enhancing reader knowledge" remains. So too does an element of subtle hidden nuance which is sure to resonate and intrigue, and just perhaps, open some hidden channel for those already versed in the higher nuances of this Art. The show bounced between politics and esoteric information. 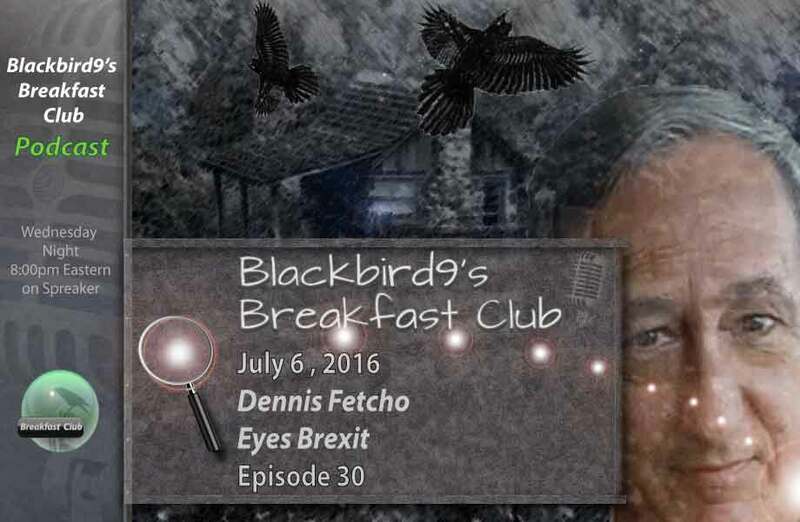 A good listen to those who have followed "The Fetch" for some time and would like to get a few added insights. I will be in Guerilla Radio on 6.28.16. This will be one of the rare opportunities to hear "The Fetch" discuss the Isisian Codes and English Qaballa. From the show promo page: Join us as we discuss with Dennis the English Qabalah, or English Kabbalah, which refers to several different systems of mysticism related to Hermetic Qabalah that interpret the letters of the English alphabet via their supposed numerological significance. 6 - 8 pm PST / 7 - 9 pm MST / 8 - 10 pm CST / 9 - 11 am EST. Call in and listen in over the phone at (347)855-8301. Press 1 if you want to join in the conversation. 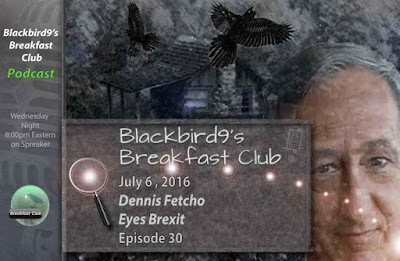 Listen live or come back to hear the audio file, which will be linked here. This show is was somewhat of a primer, elementary show, but should come as a nice surprise for those who enjoy "The Fetch". There was some technical issues with the Blogtalk platform. The link provided did not mix to the mixing board, so hour number one is coming through the computer mic, while hour 2, we called into the studio and the sound quality improved greatly. Hour 2 is a much better produced hour. A lot of primer work here, personal interest story telling. 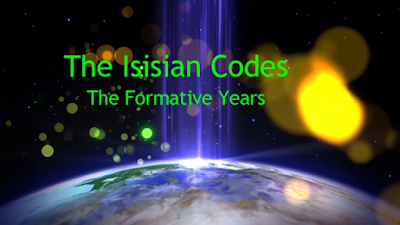 This is a good show for people being introduced to the Isisian Codes and English Qaballa.